Buying a business or selling your business can be a stressful endeavor. Doing so on your own can lead to further stress in the event that the deal does not go as planned or unforeseen issues arise prior to or after closing the deal. Whether you are merely doing an asset sale or purchase or selling of the complete business, including its assets, business name, and goodwill, enlisting the help of a legal professional will ensure that any surprises can be remedied and the need for costly litigation minimized. 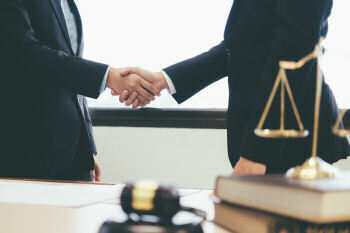 At the Law Offices of Benjamin E. Golden, PLLC, we have helped numerous individuals both buy and sell their businesses, whether it was merely an asset sale or more comprehensive up to complete transfer of the entire business. Engaging us to negotiate and draft the proper documentation adds to the transactional cost in the short run, but pales in comparison to the long term cost in the event that litigation is necessary due to improperly drafted documents or unaddressed issues cropping up. Contact us now at (210) 802-9377 for a free consultation about buying a business or selling your business.